Fall Enrichment is just around the corner. This is a great opportunity for students to experience a variety of classes after school. 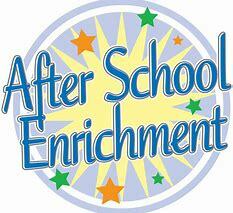 Please click here to view our enrichment flyer. If you have any questions or need clarification, please contact Carly Spears, 720-423-9920 or Carly_Spears@dspk12.org.